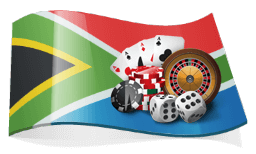 South Africa’s Trade and Industry Minister Rob Davies made a decision recently to award a new casino license to the province of North West. This decision, however, has drawn significant opposition by other casino operators in the country who are protesting the new license and are taking all the necessary steps to block the move. This is the first time that the South African government is issuing a new license since gambling became legalized in the country in 1995. The government decided to increase the number of South African casino licenses from 40 to 41 after the National Gambling Policy Council gave its green light. The move came after Sun International relocated its license for the Morula Sun Casino and Hotel to the new Time Square Casino at Pretoria’s Menlyn Maine. As such, residents of North West province have been left without a casino and the minister believed that their needs should be addressed by issuing another license. Casino operators, however, are protesting the extra casino license, saying that Sun International’s decision over the Morula Sun Casino should not have resulted in a change of the current status quo. 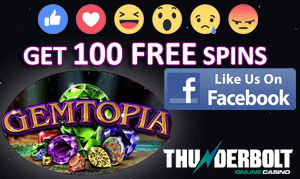 It is understood that existing casino operators are not too thrilled about the added competition to an already highly competitive gambling industry. Davies counters CASA’s threat by saying that it was up to his office to make the final decisions that govern South Africa’s land casinos. He said that the capping of casino licenses at 40 did not prevent any future consideration to increase the cap as the country’s Nation Gambling Act, Section 45, did empower consideration to increase the number of casinos. In 1995, the Wiehahn Report recommended that the number of casinos should be limited to 40 so that the industry could advance economic development. At present, Gauteng is the province with the highest number of casino licenses (7), followed by North West, Eastern Cape, KwaZulu-Natal and Western Cape each holding five. Mpumalanga and Free State each have four casino licenses, and Northern Cape has three.n as Times Square at Menlyn Maine.